This feels a bit hard to write. As a natural-born feminist I really believe that women and men – although different – are equal. For me feminism = equality… nothing more and nothing less. I feel as if I am betraying my feminist ideals to admit that I don’t feel as safe and strong as I seem to. It is interesting to watch my beautiful niece grow up and realise that what I consider acceptable for me to tolerate I don’t think is acceptable for her to have to deal with. Seeing this paradox through the lens of what I want for her life has clarified a lot of things for me. 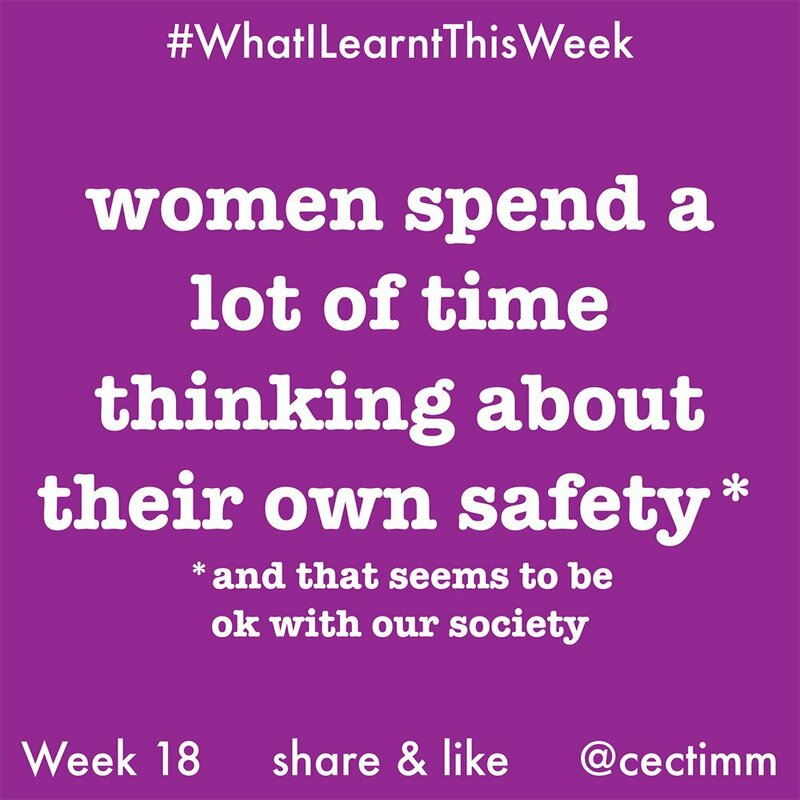 Women have to think about their safety… a lot (at least in my experience and from what I have gleaned from discussions with my friends). I started thinking about this and took mental notes of how often it pops into my mind… and it happened a lot more often than I thought it would. Let me clarify by saying that I am NOT talking about jumping at shadows and freaking out all the time – it’s a calm and rational assessment of my current surroundings and looking for signs of danger. I’m not saying that men don’t feel unsafe… I can’t speak for them, but it’s something that women have to think about in a calm and rational way, ALL THE TIME. Some women don’t even feel safe in their own home but that is a whole other issue. Our society seems to think that it’s ok for women to either live in danger or have to be hyper vigilant all the time… but it’s not. There seems to be a new level of hatred and fear brought on by the current boost in the feminist movement with women being threatened online for sharing their views. It’s not ok.
Maybe instead of telling women where they should go, what they should wear and how they should behave perhaps we can teach men to not view women as objects of possession, conquests to be beaten or less deserving of respect and safety.